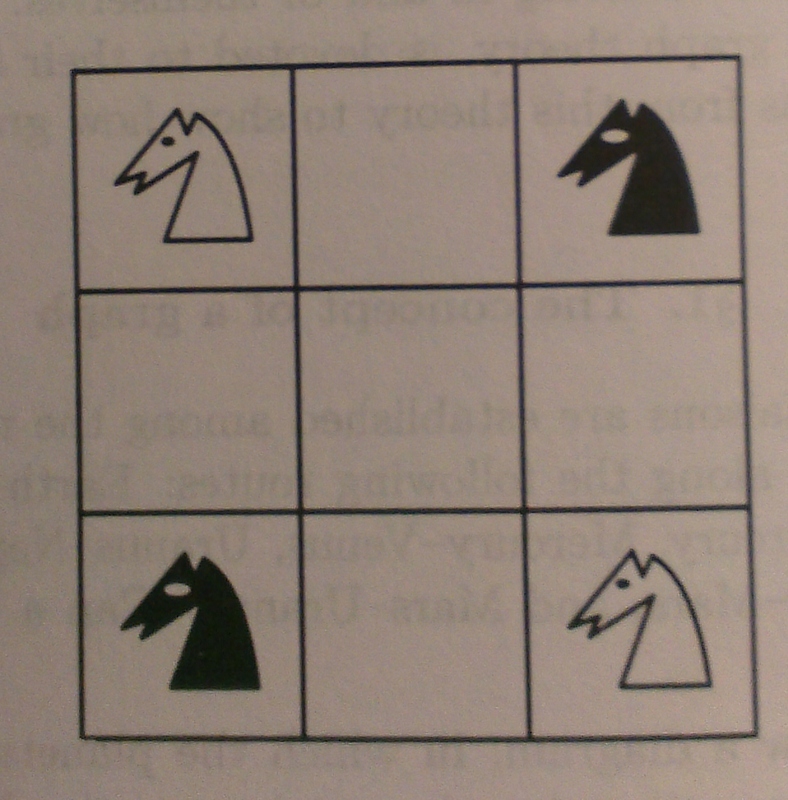 Puzzle #59: Can You Move the Knights? This is a very interesting problem I discovered today while trying to prepare for a Mathematical Circles lesson organized by Alok Mittal, where he is teaching a group of children mathematics through puzzles. The puzzle is also from the book “Mathematical Circles”, by Dmitri Fomin, Sergey Genkin and Ilia Itenberg. Chapter 5. 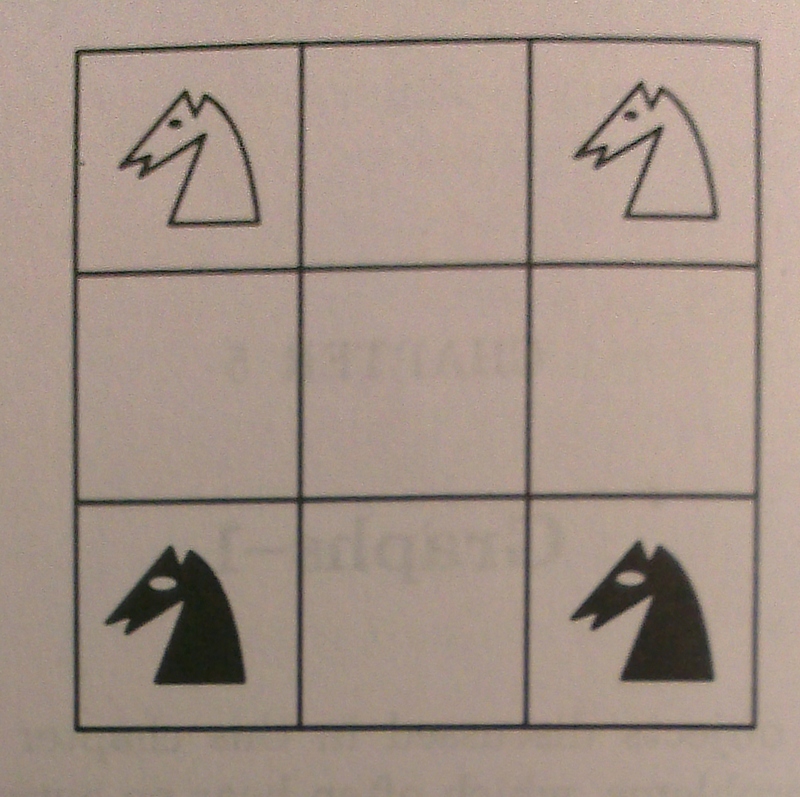 Several knights are situated on a 3×3 chessboard as shown in Starting Point. Can they move, using the usual chess knight’s move, to the position shown in Destination Point? For those looking for a hint….think graph theory! This entry was posted in Puzzles and tagged Alok Goyal, Graph Theory Puzzles. Bookmark the permalink.